Joop Westerwheel. Source: United States Memorial Museum. "He said, 'No, I need to stay here. I'm responsible for these children. ' He was one of the leaders and couldn't leave them. Soon after that the idea was formed to save the whole group. We didn't want to save only ourselves; we wanted to save as many children and Jews as possible." 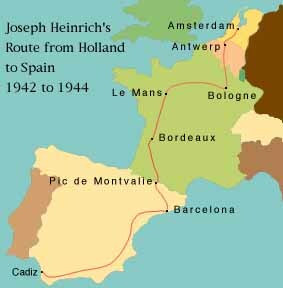 Map of the route Joop used to take the Jews to Spain. Source: To Save A Life. 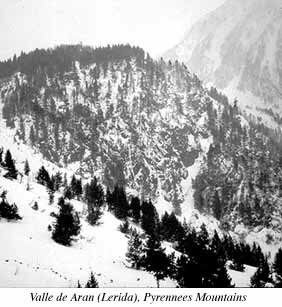 Mountain that Joop had to cross to take the Jews to Spain. Source: To save A Life. "It's not about how long you live, it's about how you live."